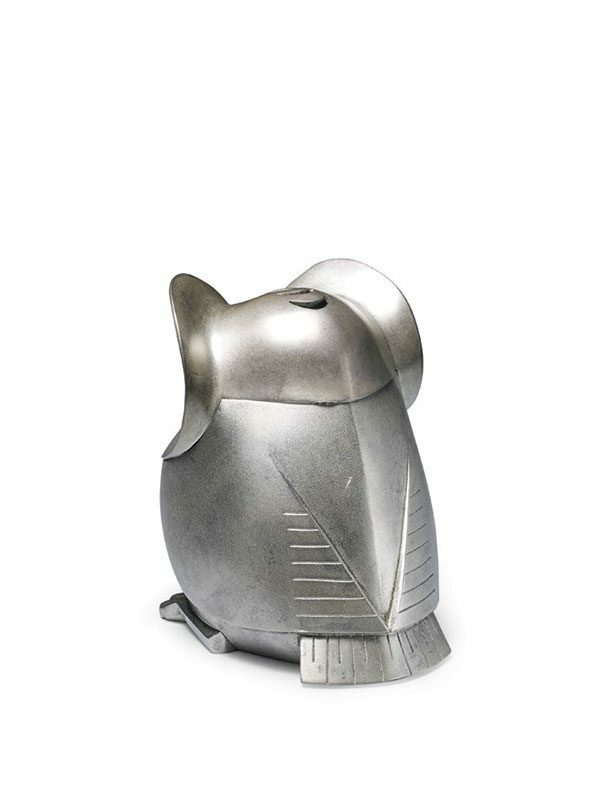 A silver incense burner in the shape of an owl, the naturalistically depicted, short-tailed bird seated and looking straight ahead. The removable head serves as the lid of the incense burner and has crescent-shaped apertures to accommodate the smoke. The big, circular eyes are gilded. The flat base is incised with the maker’s signature. Katori Masahiko (1899 – 1988) began his career in the arts by studying Western style painting at The Pacific Art Society Institute. 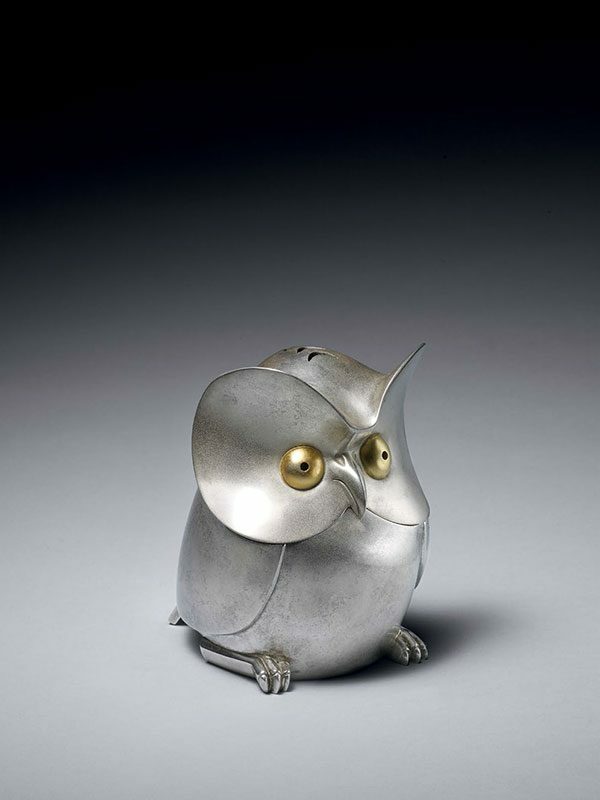 It was thanks to the influence of his father Katori Hozuma (1874 – 1954), a famous metalworker, that Masahiko was introduced to the world of metal crafts. Having graduated from the Tokyo School of Fine Arts in 1925, he was awarded two prizes at the Exposition Internationale des Arts Décoratifs in Paris. After the war period, Masahiko Katori exhibited at a number of the Nitten exhibitions, and won the Japan Art Academy prize in 1953. What is perhaps most striking about Katori Masahiko is the fact that, as Fischer observes, he practiced his craft of metal work using ancient techniques much as his father did, yet his work reflects the modernist style trends of the time. In 2012 Ben Janssens Oriental Art had a bronze model of an eagle by the same artist.